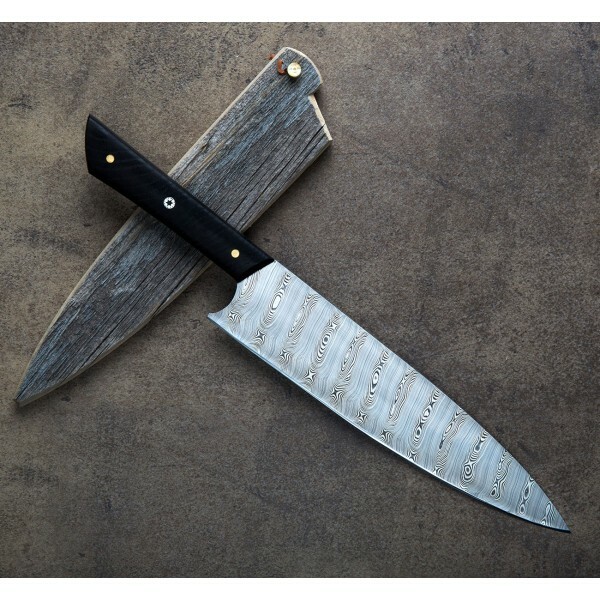 As expected from Tobbe Lundström of Åre, Sweden, this stunning chef knife is built to work hard all day while boasting an aesthetic that would not look out of place behind glass in a museum. 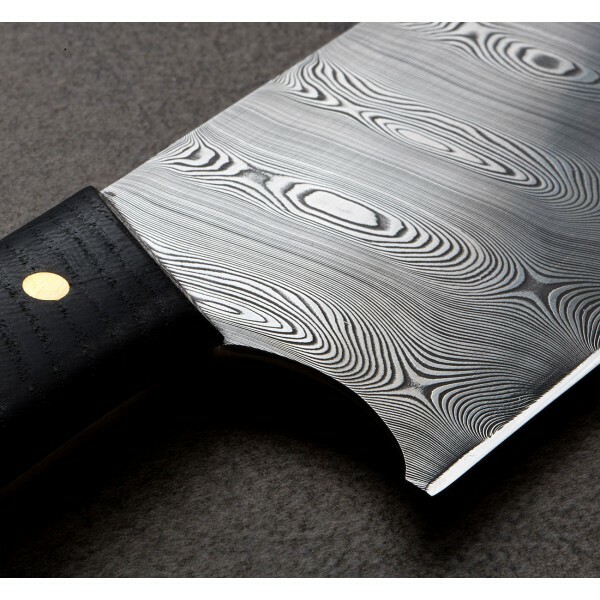 The stainless Damasteel blade steel is produced in the mill established in 1676 in Söderfors, Sweden, and is considered a high performance steel known for strength and durability, made using a patented powder steel process to create the damascus pattern. 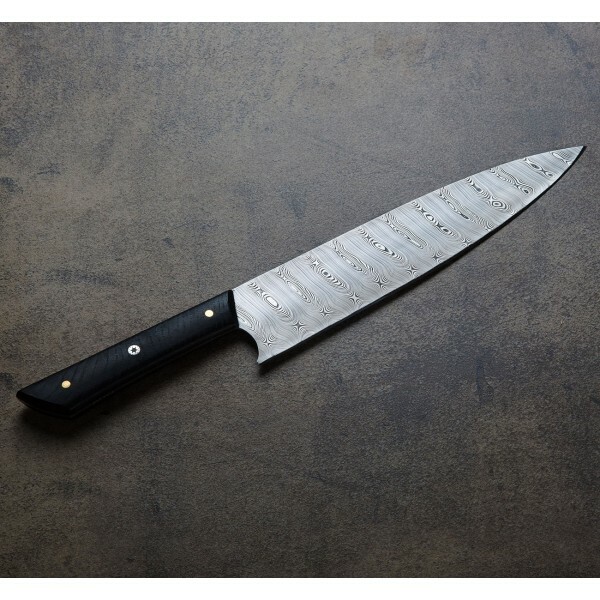 Thin and sharp, with a spine of just 2.4mm, Tobbe's chef knives feature a classic western-style profile including an edge that chops with an effortless rocking motion and slices with ease. 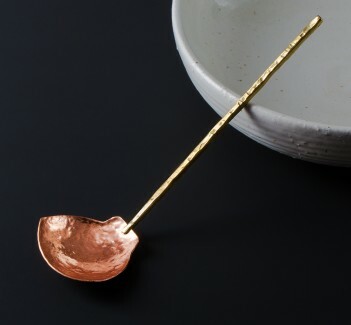 The handle, with mosaic and brass pins, is carved from bog oak, salvaged from the Peter Bird, a timber-carrying ship built in 1836 which sank in 1875 in the Baltic Sea. 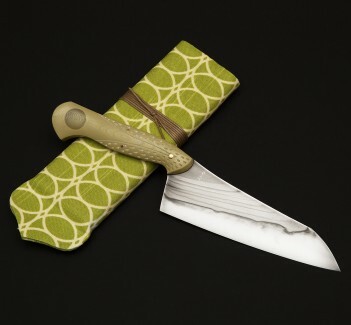 The equally beautiful saya is made from reclaimed barn siding, with a reindeer antler pin. 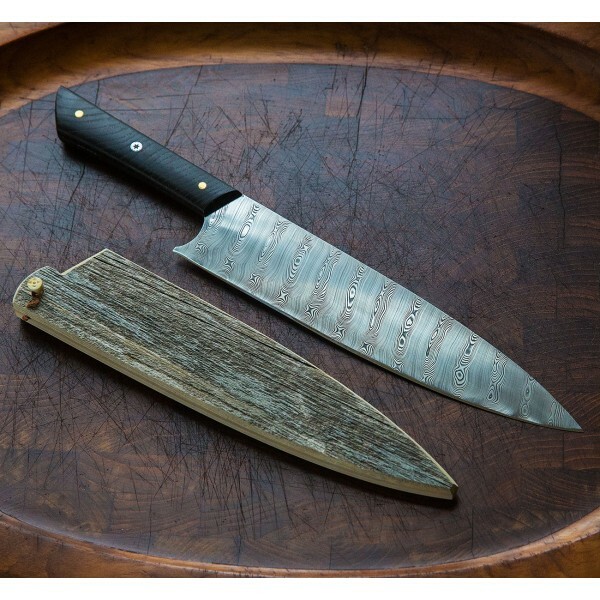 Building custom chef knives and cutlery for the dining table at his shop in central Sweden, Torbjörn Lundström, or "Tobbe" as he is known, creates heirloom quality culinary tools that are not only beautiful, but built to be used daily. From fork and steak knife sets to extraordinary handmade chef knives like this Damasteel & Bog Oak Chef, each piece is completed with uncompromising fit and finish, often with the use of reclaimed and salvaged local materials. A connection to the land and artisan from which these tools come can be felt as soon as one is held. 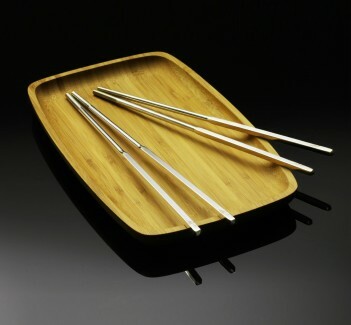 Blade length: 250mm (9.84"). Overall length: 10.24". Blade width at heel: 2.4mm. 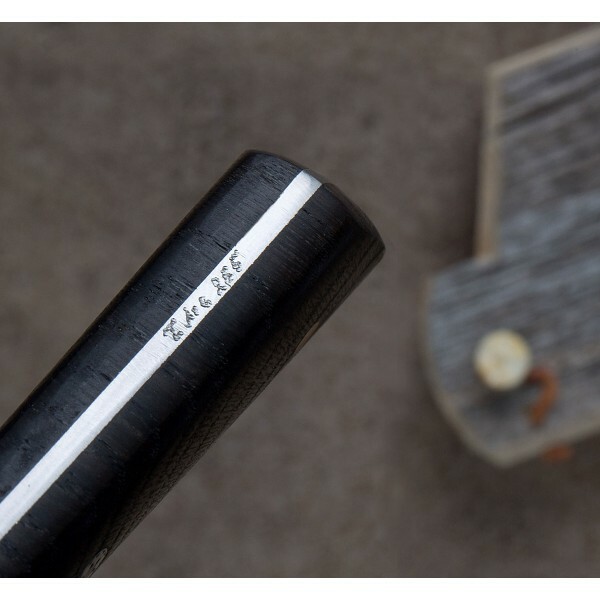 Blade height at heel: 50mm. Weight: 7.4 oz / 210 g.
Stainless damascus Damasteel blade. Bog oak handle, sourced from a 19th century Baltic Sea shipwreck, with mosaic and brass pins. 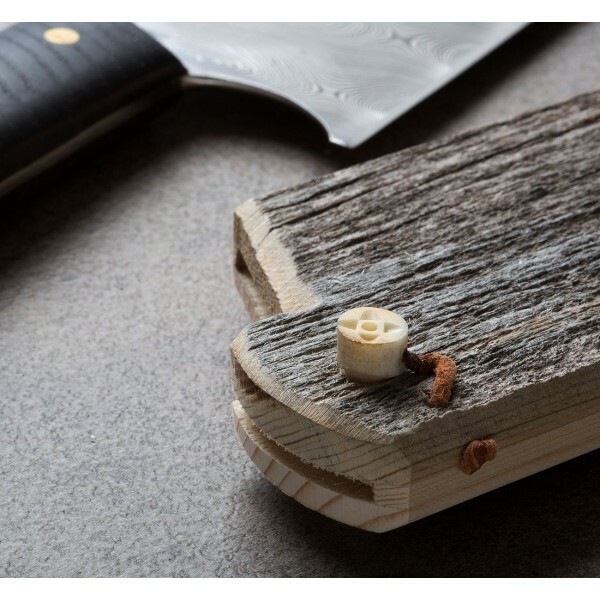 Wooden saya, from reclaimed, weathered barn siding, with reindeer antler pin.